Can company continue pursing ambitions without triggering a backlash? Next story in Computers Should teachers and students be Facebook friends? 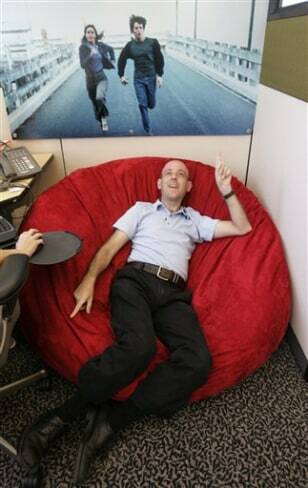 Google Technology Director Craig Silverstein, who was Google's first employee, sits on his beanbag chair in his office at Google headquarters in Mountain View, Calif.